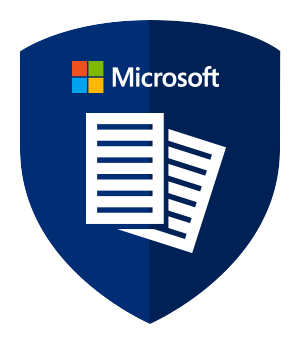 The Microsoft in Education learning path is a set of introductory courses to get you started on our suite of Microsoft tools for teaching and learning. In this course, you will learn about the different ways Windows 10 Anniversary Update can enhance teaching and learning by providing ways for teachers to utilize technology in more interesting and dynamic ways. Windows 10 also puts the power of learning in the hands of students - creating more opportunities to create, collaborate and show their learning in a variety of ways. Microsoft Teams is a digital hub that brings conversations, content, and apps together in one place. Educators can create collaborative classrooms, connect in Professional Learning Communities, and communicate with school staff all from a single experience in Office 365 for Education. This course will provide educators with the necessary steps for getting up and running with Microsoft Teams. This introductory course will get you started using Microsoft Forms. With Microsoft Forms, you can create surveys, quizzes, and polls, and easily see results as they come in. When you create a quiz or form, you can invite others to respond to it using any web browser, even on mobile devices. As results are submitted, you can use built-in analytics to evaluate responses. Form data, such as quiz results, can be easily exported to Excel for additional analysis or grading. By allowing teachers and students to focus on content and not worry about format, the Digital storytelling with Microsoft Sway course will show how Sway can be used to capture and share digital stories that need to be told in and around classroom activities.